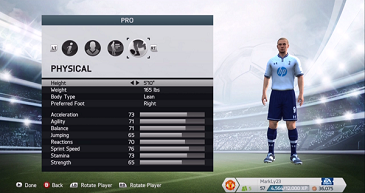 Below is a list of the best players in FIFA 15 Manager Career Mode for you to consider buying for your team. The benefit of investing in these young players is that although they may only have a few key stats now, they are young and have a long time before they will reach a peak, so theoretically they have potential to be some of the best players in the game if you play it out a few seasons. Below players are ranked by their potential in the future, so the key stat to look at here is 'Potential Overall' but note that your player could surpass that ranking!